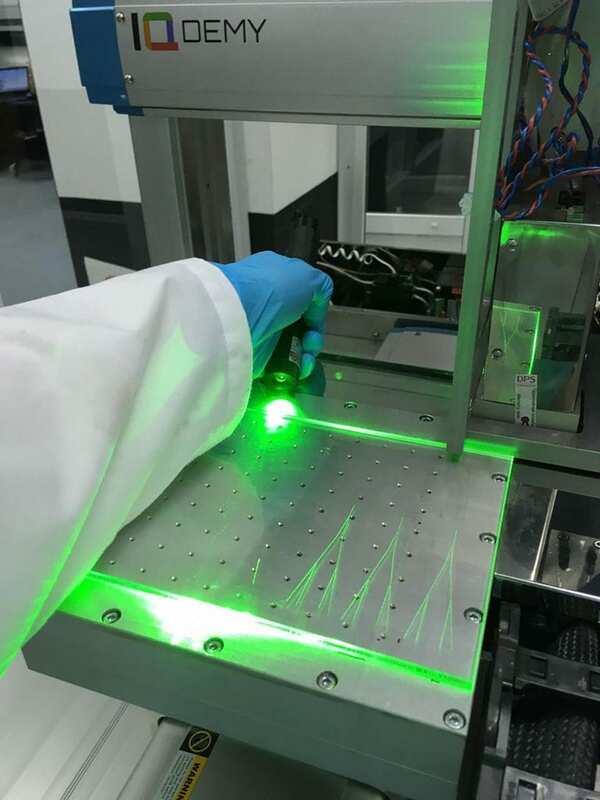 “The feature of our work is that we explained the choice of material, working wavelength and waveguide geometry, instead of simple description of properties and methods. However, the main advantage is a simple and cheap method suitable for industry. This work was initially aimed at practically applicable result, and now we conducted the first industrial tests of our technology together with “IQDemy” company. The results confirmed that the method can be adapted without losing the waveguides quality”, comments Anastasia Klestova, member of SCAMT Laboratory of ITMO University. “It is obvious that the creation of elements of data storage and transmission of data based on the photons movement control is the basic technology for future computers. The most difficult part for the engineering of such devices is the creation of efficient signal transport lines. Our solution, actually, removes all the major limitations in this area and I have no doubt that soon we will see photon computing devices with waveguides created with our method,” notes Alexander Vinogradov, researcher at the SCAMT Laboratory of ITMO University.